Remember these things? They took the world by storm in the 1980s. You might even have thrown them across the room at one time or another in sheer frustration! Now there may be good health reasons for bringing them back. The Rubik’s Cube suffered a mild drop in popularity through the 1990s but now interest seems to be on the rise once again, primarily due to a series of blogs and websites dedicated to the perplexing puzzle. Now there are competitions held on a regular basis around the world to determine who is the champion speed-cuber. Australian, German and English cubers are in Hungary to try their skills against each other, to see who is the fastest. As these young, cube-oriented athletes put it, you need all sorts of skills to be an effective speed-cuber. You have to be able to think through all sorts of different movement sequences. You have to be able to think through solutions quickly and you also need good finger technique. The official world record is 11.74 seconds and the cubers attempt to beat it, if they can. 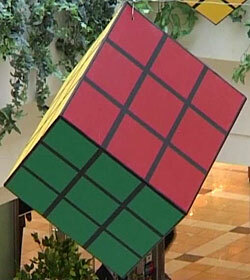 They also attempt to solve the cube blindfolded. The competitors are given a few minutes to study the cube and then they don the blindfolds. German Stefan Pochmann is said to be one of the few in the world who can achieve such a near-impossible goal. The competitors and the audience here are enjoying themselves but this isn’t necessarily all fun and games. The cubers may be also leading the way in warding off the onset of senile dementia. 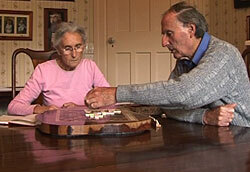 Studies have shown that engaging in mental activity through games and puzzles can help keep the mind sharp in old age. Just as regular physical exercise helps the body, regular mental exercise has benefits for the mind. Completing puzzles and crosswords, and board games have been shown to be beneficial to the maintenance of short-term memory, eye-hand co-ordination and general concentration. In a five-year study involving more than 400 participants over 75 years of age, it was found that activities that involve thought, such as reading, writing and board games, were more likely to ward off dementia. Of the physical activities trialled, only dancing was of any use in keeping our minds fit. So, if you don’t like Scrabble, then perhaps you should dust off your dancing shoes. In the meantime, keep exercising that brain!